Out of different investment avenues, mutual funds are considered as the safest form of investment. 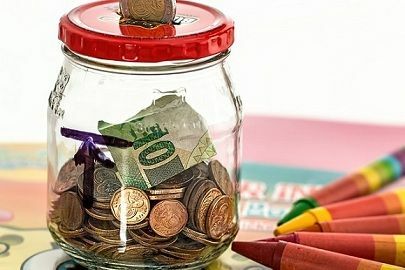 In mutual funds, many individual investors with common financial goal pool their money, and the asset management company invest the total fund in securities, in the capital and money market. On the other hand, Exchange Traded Fund or ETF is similar like a mutual fund investment, but they are traded on the stock exchange. An exchange-traded fund is a hybrid investment vehicle which amalgamates the features of an index fund and a mutual fund. Here, the participants play the role of market makers. When one is ready to invest in a various investment scheme, he/she should know that which scheme will give a good return at low cost and in a short period of time. For this, one needs to understand the difference between Mutual Funds and ETF. Meaning Professionally managed investment vehicle, where the resources from multiple investors are collected and traded is known as Mutual Fund. The ETF is a investment scheme that tracks the index, and are listed & traded on a stock exchange. Transparency Quarterly disclosure of holdings. Daily disclosure of holdings. Cost Average expense ratio is high. Average expense ratio is less. Trading To/from the fund house. To/from another investor in the market. Trading Account Not required Required for the transaction. Brokerage Not paid, as the funds are directly purchased. Need to be paid. Tax High tax on capital gain is levied because of frequent trading. Comparatively low tax is levied. The mutual Fund as its name suggests is a kind of investment fund which is a pool of funds collected from several investors in order to invest in financial assets. The funds are managed and controlled by a portfolio expert known as a Fund manager on behalf of the unit holders who invests the funds at his own discretion into diversified investments like shares, debentures, bonds and other financial instruments. Each investor holds the shares on a proportionate basis. The shares held by the unitholder represent their portion in the fund. The investors are entitled equally to both profit or loss as the case may be when the securities are sold. As a mutual fund is a collective investment the risk above-given among the investors, it does not require huge investment, but only with a small amount of investment a person can get the benefit of portfolio investment. Exchange Traded Fund or ETF is a type of index fund that is listed and traded on the securities exchange. It is an investment vehicle that traces the index like Nifty or Sensex. It is an array of a diversified portfolio that tracks the yield and returns of the respective index. It carries a package of assets such as stocks, bonds, currencies, options etc. An ETF is a collective investment which has the benefit of buying and selling a particular security. The fund experiences price fluctuations because they are traded throughout the trading day. The fund is highly liquid and provides good returns to the investors at a lower cost. Mutual Fund is defined as the investment fund where a number of investors pool their money together to invest in diversified securities. The index fund, which tracks the index and is listed & traded in the financial market is known as Exchange Traded Fund or ETF. In Mutual Fund there is holdings are disclosed on a quarterly basis while daily disclosure of holdings is there in an ETF. The average expense ratio of the mutual fund is higher than an ETF. In a mutual fund, the buying and selling of shares proceed from the fund house. Conversely, in ETF the trading is done between two investors in the secondary market. In a mutual fund, the funds are traded on the Net Asset Value (NAV). As opposed to ETF, which is traded on quoted price rather than their NAV. Exchange Traded Funds are considered more tax efficient than mutual funds because due to frequent trading their capital gains tax is higher. As the ETF is traded in the stock market a share trading account is required to proceed the transaction. Unlike mutual funds, where there is no requirement of share trading account to buy a mutual fund. Brokerage is paid in ETF but not in a mutual fund. Mutual Fund can be issued in a fraction, whereas ETF cannot be sold in the fraction. 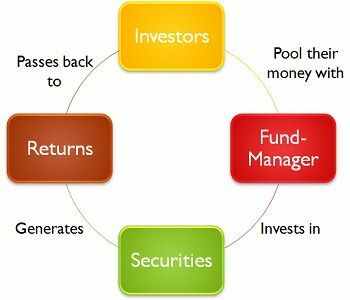 Mutual Funds are actively managed by the fund managers, i.e. the assets are continuously bought and sold in order to outperform the market. However, the ETF funds have passive management as they tend to match a specific index. Apart from the above given differences, there are a number of similar aspects in the two investment vehicles like both are portfolios, i.e. you can invest in diversified financial instruments like stocks, bonds and other assets through a single fund. They are managed by a professional portfolio experts.